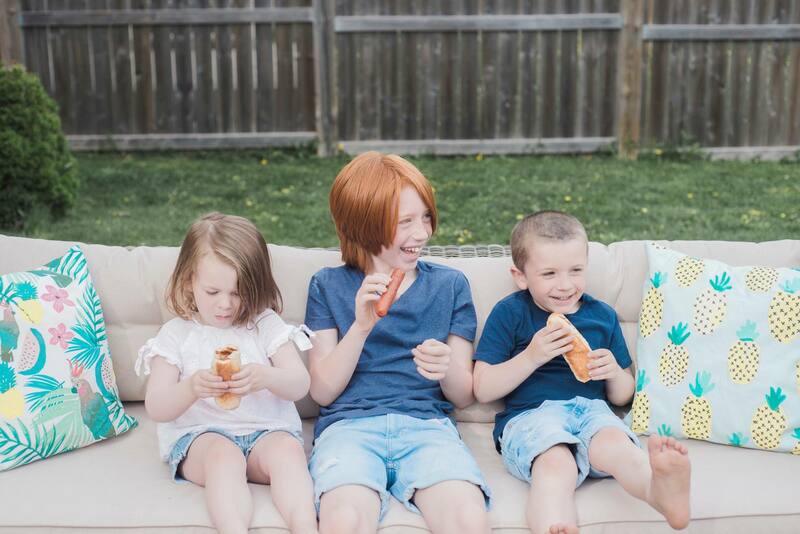 It’s been a fun, family filled long weekend and what better way to end Victoria Day then celebrating with Maple Leaf hot dogs! Last week, I had the opportunity to hang out with Maple Leaf and learn about all of their new products. Did you know that Maple Leaf now only uses real, simple or natural ingredients? Yup, you read that right! 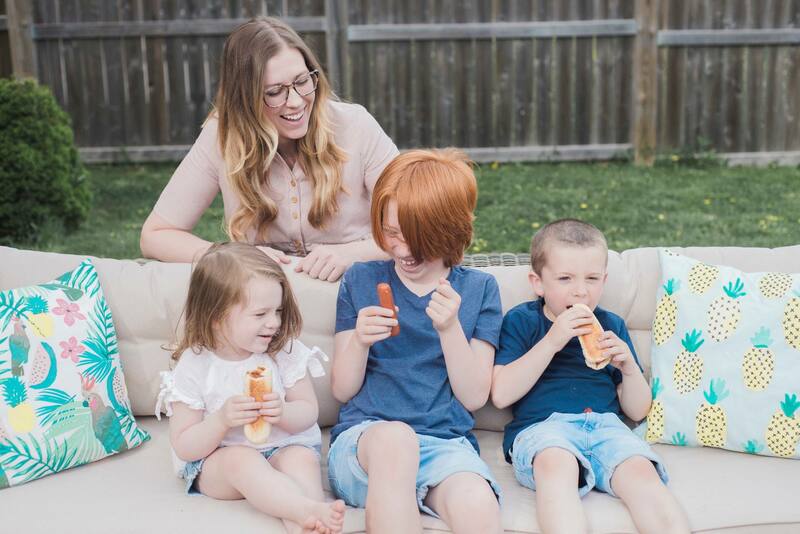 Such good news for parents! All of their ingredients can be found in your pantry. A bold change for Maple Leaf but as a mother, this is one I can get behind! Last week, we spent the afternoon with Michael McCain learning about the changes Maple Leaf has made. 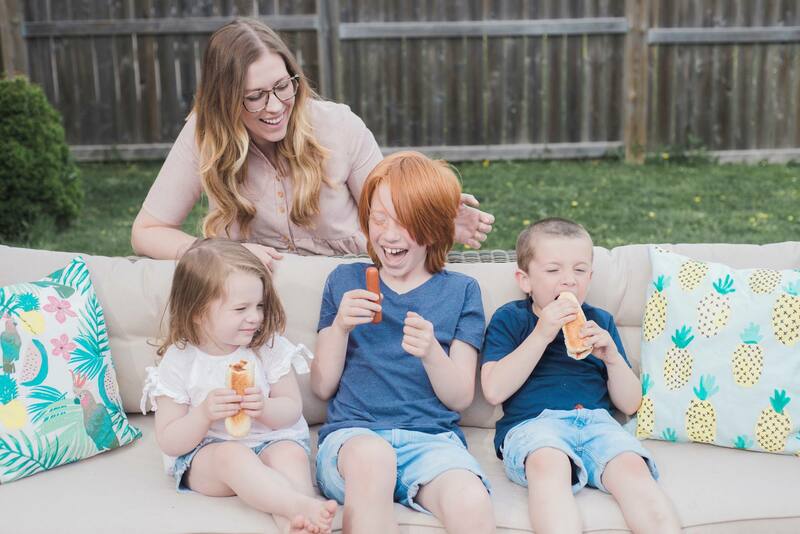 He stressed that Maple Leaf believes high-quality protein is the foundation for healthy, growing bodies, so they prepare simple, delicious protein to nourish Canadian families. These changes have been two years in the making! Health and wellness seems to be a trending topic these days and it’s really cool that a brand as big as Maple Leaf is listening to what consumers want. All natural. They’ve made a “food manifesto guide” so be sure to click through if you’d like to learn more about their process. Cory and I went to the grocery store the other day to stock up on food before the long weekend. I showed him all of the Maple Leaf products and he was really impressed by the ingredients. There are no artificial preservatives, artificial flavours, artificial colours, artificial sweeteners OR animal by-products. How great is that? 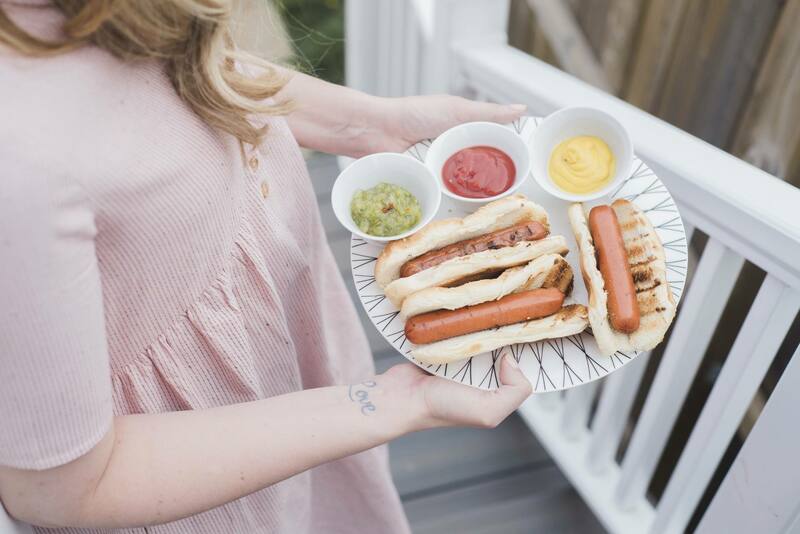 Our kids are pretty happy about this change too because they LOVE hot dogs and now that we can see they’re made with real, simple ingredients we have been grilling them up quite a bit this past week. 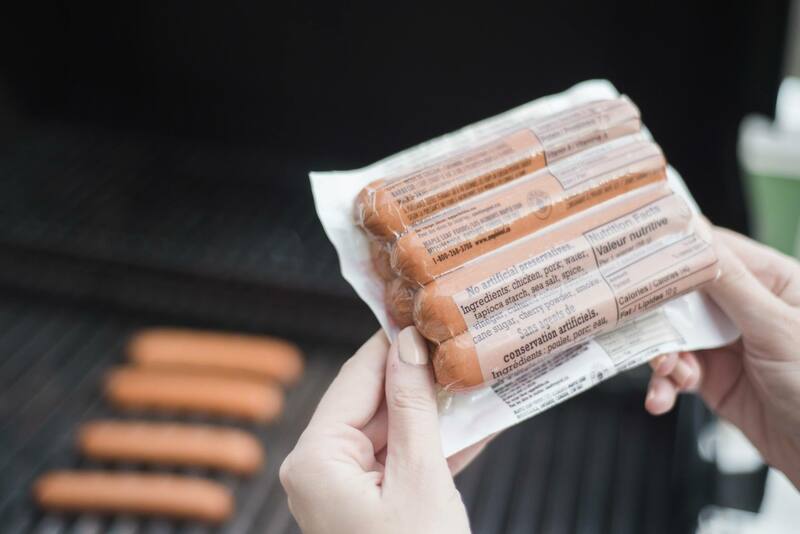 By the way, Maple Leaf now makes their hot dogs “BBQ format”. 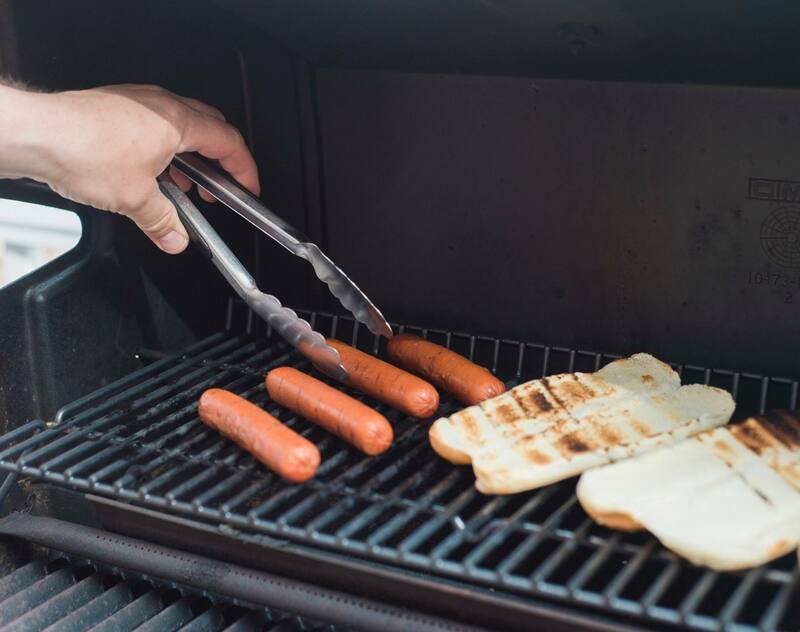 In other words…you can grill up your hot dogs on the barbecue and they’re thick enough that they won’t fall through the grill. I know, they’ve really thought of everything! Let me know in the comments what you think about this exciting move by Maple Leaf! 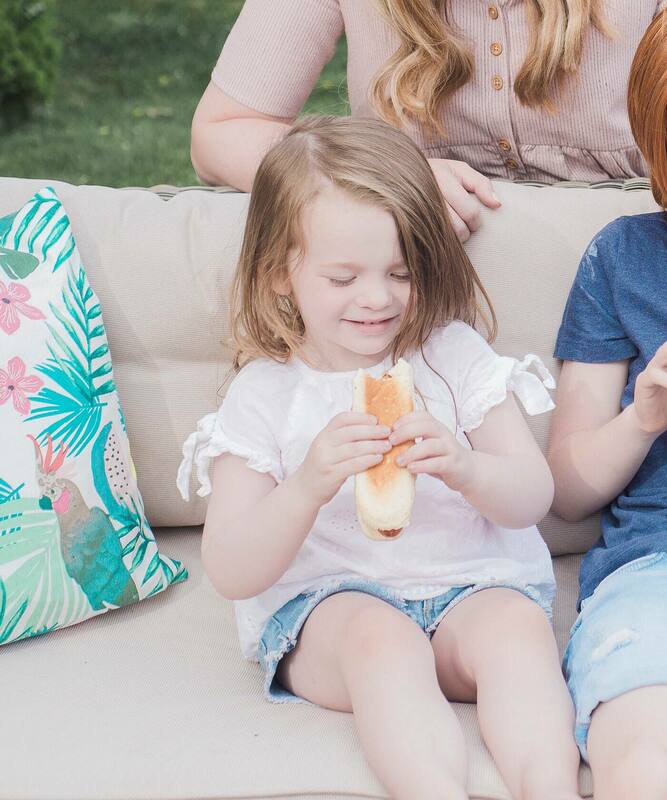 Isn’t it great that their products are now made with real, simple or natural ingredients? My mom actually saw their new commercial the other day and told how awesome she thought it was. Really interested to hear what you think!